Both can be squandered on missed opportunities or used wisely to grow your company. That’s the benefit of a business aircraft. And Business aircraft charters allow you to take control of the time you spend on he travel. No busy Airports……. No Crowded terminals. Change The Way You Do Business . Now – Executives and their Team can reach any place in the world in the shortest possible time. YES – Save Time – which was lost at the Airports, Hotel Stay, Delayed Flights and Unavailable connections. We know important business is done – ” Face to Face” . In your chartered flight you can talk uninterrupted during a comfortable flight in the quiet privacy of custom cabin. You can relax and Collect your thoughts before that crucial Meeting. If you want to make most of your time , get in touch with us and we can share a variety of solutions that can minimise your business travel. The freedom to travel anywhere- anytime! the freedom to land anywhere, anytime. Charter flights allow you to plan your own schedule to land at small airstrips inaccessible to routine commercial flights. So you can land in a small town close to your factory or a tiny island beach resort away the crowd. there is no one right aircraft for you. We would like to talk to you, discuss with you, understand your exact requirement – whether it is a business charter , a family holiday, a medical evacuation, a film shoot, an adventure sport or a cargo transport. We will work our brains out to provide the best charter at the most economical cost for you. We see an Aircraft charter as an opportunity to ‘Build a Relationship’ and not just hiring an aircraft. We listen to our customers we understand them. They tell us how to satisfy them and fulfill their needs beyond any stretch of their imagination. In short we strive to satisfy our customers to the optimum best. Imagine yourself surrounded by luxurious soft leather in the dark blue sky with the setting sun in the Horizon – Cutting across the sky , sitting in a safe and confident machine – returning back from a successful business meeting- with the satisfaction of completed days work and anticipation to meet your loved onces back home. Safety, security and productivity are key reasons why individuals and companies increasingly are choosing on-demand air travel for personal and business travel. Air charter flights operate on the passenger’s schedule, allowing considerable flexibility. With the ability to fly in and out of more than 5,000 public use airports in the United States – more than 100 times that of the airlines – air charter provides convenient access to your destination. And air charter is a safe mode of transportation. Even with all the benefits air charter provides, it is also true that not all air charter operators will meet your specific wants and needs. You must become an educated air charter consumer. A general understanding of what questions to ask and what answers to expect will assist you in your effort to choose a safe and reputable charter operator – one that will provide the aircraft and service level you require and deserve. Charter safety – Hi Flying aviation. Charter companies and pilots are certified by the Federal Aviation Administration (FAA) before they are allowed to fly. Thereafter, their operations are, at FAA’s discretion and within its resources, subject to constant oversight under rigid safety regulations. This is the same model used by the FAA to oversee airline safety. Obtaining a charter operator’s certificate is a time-consuming, thorough procedure, sometimes taking up to a year. The process for certification is overseen by the FAA, and is subject to unannounced safety spot checks by FAA officials. Charter company operations manuals are required by the FAA, and must be approved by FAA officials. FAA staff routinely audit charter operators’ records, which can also be subject to periodic safety review by independent safety auditors. Charter consumers are best served when the pre-screening of several charter operators and/or charter brokers is conducted in advance of a charter flight. Use the following questions as a basis to determine which charter operator or charter broker might be the best match for your needs. Who is the FAA-certificated charter operator that will conduct our charter flights? What experience does the operator have? How long has the operator been in business: In aviation? As an air charter operator? What type of aircraft are on the charter certificate? What year(s) were the aircraft manufactured? What, if any, major refurbishments (interior, flight equipment, paint, etc.) were completed on the aircraft and when? How many aircraft and crew does the charter operator have? Has the FAA ever taken enforcement action against the operator or one of its flight crewmembers? What experience does the crew have? How many flight hours total time? How many hours in make/model of each aircraft? If special operations (e.g., mountain airports, extended over water) will be conducted, what experience (initial and recurrent) and experience does the crew have with these operations? What is the operator’s safety record? Has the charter operator had any aircraft accidents or incidents? If so, what measures has the operator implemented to ensure increased safety? Has the charter operator been audited by an independent third-party organization? What were the audit findings and how does the charter operator compare to other charter companies?? How often is training provided to the crew and what is covered in the training (e.g., does the charter operator provide training above and beyond the minimum training requirements established by the FAA)? Where is the training conducted? Is the initial and recurrent training provided in a simulator or the aircraft? What is the charter operator’s policy on crew flight time and duty limits? If a possible customer trip goes beyond the crew flight/duty times, how would the charter operator conduct the mission and maintain their policies? Who maintains the aircraft? Under which program is the aircraft maintained (CAMP, AAIP, factory maintenance program)? How does the operator handle maintenance situations that, on a rare occasion, might arise during a trip you have booked? If you are planning an international flight, what experience does the operator have flying to/from/within the countries you wish to visit? What specific safety and security measures does the operator implement when conducting operations in that region? Will the charter operator assist with immigration and customs logistics, such as visas and customs forms? Do the pilots, flight attendants and other employees receive customer service training? Are service standards in place; what are they and how are they measured? What is the customer satisfaction rating: low, average, good, excellent? What documentation does the operator have to support that? How soon prior to the scheduled flight will the aircraft be at the airport, ready for departure? To whom should concerns/complaints regarding flight irregularities, safety, or customer service be directed? Is there someone available 24 hours/day, seven days/week in case I have any of these concerns? What company issues the aviation insurance policy? What are the charter operator’s insurance coverage and limits? Will the charter operator name you as an additional insured? Will the charter operator provide you with a waiver of subrogation and a certificate of insurance confirming the coverage and aircraft that will be used for the flight? How will the charter company accommodate you if there is a problem encountered with the flight arrangements? (e.g., charter operator’s aircraft is unavailable either prior to booking the trip or the aircraft becomes unavailable after the trip is booked) Will the operator find another charter operator to conduct the flight? If a problem is encountered and a substitute charter operator is to be used, who is that operator and what are the substitute’s answers to pre-screening questions 1-24 above? What is the name that appears on the charter company’s air carrier or commercial operating FAA certificate? What is the charter company’s air carrier or commercial operating certificate number? Which FAA Flight Standards District Office (FSDO), and which Principal Operations Inspector (POI) oversees your charter certificate? Which aircraft (make, model and, if available, tail number) will be used for the flight? Under what conditions would you substitute crewmembers and what are your policies with regard to using substitute crew? If you substitute crewmembers, when will I be notified of the change and receive information the crewmembers’ experience levels and training? Are you acting as an agent of the customer? An agent of the air carrier? An agent of both the customer and the air carrier? As an indirect air carrier? Note: the charter company may provide this information in the form of a charter quote attached to the responses to questions 1-8. What is the hourly rate for the aircraft? What additional costs will/might be charged? What are the costs? Are discounts provided for block charter? What hour increments are required and what is the discount? What is your cancellation policy? What, if any, fees are charged? What are your refund terms if the trip is not conducted as agreed upon? What is the total estimated price for the trip, inclusive of all taxes and fees? Founded in 1947 and based in Washington, DC, the National Business Aviation Association, Inc. (NBAA) is the leading organization for companies that rely on general aviation aircraft to help make their businesses more efficient, productive and successful. The Association represents more than 8,000 Member Companies and provides more than 100 products and services to the business aviation community, including the NBAA Annual Meeting & Convention, the world’s largest civil aviation trade show. Try our air charter services obligation-free and enjoy the luxury of arriving at your destination rested and ready to do business. Travel stress free without having to struggle with security lines, layovers and unscheduled delays, and you’ll see why Prive Jets charter flights are unequivocally top of the class. Air charter allows you to fly point to point, depart and arrive at your own schedule, conduct private meetings on board or relax if you please. Aircrafts we fly – Hi Flying aviation. Aircharters worldwide – Hi Flying aviation. St kitts & nevis is. Nice information. A Great Aviation Blog.I Love it! The all new Robinson R 44 Helicopter for charters in India for Business, Tourist and Fun Flying. Great for Honeymoon or Marriage anniversary charters. Not to forget religious flower dropping over temples in Mumbai. Helicopters for Election campaign in India. Elections is a big event in India and there is increasing demand for aircharters – both rotor wing helicopters and fixed wing aircrafts. Hi Flying aviation is striving hard to provide the best possible services to all agency and political parties involved in the upcoming elections. The following aircrafts and helicopters will be available for charters. Helicopter and Aircraft flying for election campaign – India. 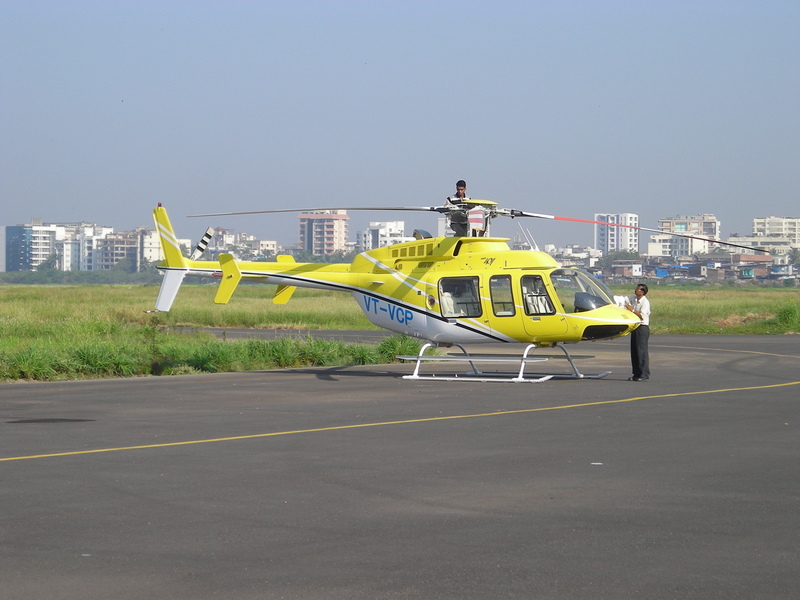 Helicopters and Aircraft for Film and Advertisement shoots in India. Hi Flying Aviation has been one of the prominent providers of Fixed wing aircrafts and Helicopters for film and advertisement shoots for locations in India and abroad. Proud to be part of success – the recent film projects in the Bollywood circles has been the Business luxury jet provided for the film ‘Ghajini, starring Aamir Khan and luxury helicopter featured in ‘Hello’ starring Salman Khan. Hi Flying aviation congragulates the success of ‘Slum Dog Millionaire’ directed by Danny Boyle where the helicopter scene with Amitabh Bacchan double was featured including a fixed wing aircraft – one of our Kingair which is shown in a prominent scene flying above the head of the kid looking to the sky. Advertisement shoot for Iffco Tokio Insurance company with star Paresh Rawal shooting an Air Ambulance scene has been very popular on television – the helicopter was provided by Hi Flying aviation. Hi Flying aviation is involved very closely with the team of directors and actors and has providing complete support for the film shoot including site and airport permissions, site consultancy, airport permissions, helipad preparation, harness and other safety equipments, camera mounts and pilots for shoots. Robinson 22, Robinson 44, Bell 206, Bell 407, Bell 437, Bell 412, Agusta Koala, Agusta Power and Agusta Grande. CRJ, Avrojet, Luxury Business Boeing Jets.